As the Holy Spirit through Peter has been asking his readers and us to take up our supernatural role in the revealing of Christ in this dark and lost world – and also to serve as portents of God’s coming judgment upon all the world – so He now takes us to one more consideration which is rooted in the supernatural. The Devil, Beelzebul, Belial, Diabolos or The Serpent. For all of those names or titles are applied to him in Scripture. When it comes to wrestling with the idea of a living being called “The Devil” – 2 extremes are always a danger for believers in Jesus Christ: 1. Exaggeration: To Exaggerate him and his work and power. Seeing him behind every bush. Thinking that he is God’s antithesis, when God has no antithesis. Or developing a Star Wars theology of the light side and the dark side of the force. As though Satan is truly as powerful and amazing as God Himself is, but evil instead of good. Satan is NOT God’s antithesis even tho he IS God’s sworn enemy, and thus the enemy of all who are Christ’s. He is in fact an angel, a mere angel who has gone bad. I won’t go into a full blown study of who he is here – we can save that for another time. Suffice it to say the Bible teaches he is a real, personal, angelic being. However: He is not omniscient. He is not omnipresent. He is not omnipotent. Nor is he simply a mischievous, pesky elf. He is a powerful and intelligent angelic being, who opposes the work and plan of God as he is able, along with 1/3 of the angelic host who rebelled against God with him. A least that is a common understanding of Rev. 12:4. They, are the demons we read about in the Bible. The very word “Satan” in Hebrew means to oppose or obstruct or accuse. With this view, it is easy to slip over into a very superstitious approach and to think in terms of battling forces of darkness by binding or casting out, rebuking etc. Which can all have their place, but can be turned into something very strange and mysterious. When the Bible is much clearer on the subject. The 2nd error we can slip in to regarding the Devil is: Minimization: To completely ignore him, as though we have nothing at all to do with him, and he is more myth than real. To ignore any real known danger is a recipe for disaster. But to be willfully blind to a danger can lead to even greater loss and misery. And preparation for God’s people against the wiles of the Devil is Peter’s goal in this portion. So far Peter has talked about the dangers of falling back into our past sins and passions when under pressure from a hostile culture. He has talked about the dangers of dividing or neglecting the Church and other Believers under the same pressures. He has addressed buckling to a corrupt government by compromising, and the danger of retaliating against that same government. He has warned against making lost people our enemies, even when they may consider themselves ours, or at least treat us like enemies because we serve Christ above the State or the culture. And he has warned us against allowing ourselves to get bitter against any who misuse us, so that we no longer preserve our ability to shine the light of Christ’s redeeming love, mercy, patience and grace in the darkness. He has called us to suffer with Christ – for the sake of ministry now – in light of the eternal reward yet before us. And now, he brings us to one final concern – being aware of and dealing with – The Devil. A Devil we are to resist by some very specific means laid out in this passage. So let’s go back and take this apart. We have an ADVERSARY – an opposer. We have a literal, angelic being who hates Christ, hates His people and tries at every turn to destroy His plans. He is not stupid, but neither is he omnipotent. He cannot read our thoughts, though at times he may suggest them. But to do that, because he is not omnipresent, he must enlist the aid of the other fallen angels, and above all – influence people by means of the culture in constructing alternate worldviews of God, humankind, love, purpose, etc. It is mainly a campaign of DISINFORMATION. This was his first tactic in the Garden with Adam and Eve, and it has remained the first arrow in his quiver ever since. But as Paul notes in 2 Cor. 2:11, we are not ignorant of his designs. To deceive by it so as to lead us to serve self rather than God. And above all, to distort the truth about God Himself. For if he can get us second guessing God, and especially to suspect some darkness in Him, some form of perversion or sin or twistedness or thinking of Him as self-serving, unloving, or capricious – doing things by whim – he wins the day. For when we are doubtful of God’s true character, and suspicious of His goals or His methods, we will turn to protect and serve ourselves above everything and ultimately above everyone else. So the Scripture lays out for us very helpful pictures of how the Enemy does this. Gen. 3 – Tempting Adam & Eve to believe God wants to withhold something good from them, what is BEST for them, and so baiting them to take things into their own hands, questioning God’s commands, as secretly harmful. 1 Chron. 21 – Inciting David to number Israel, something God had expressly told David NOT to do. The idea here was either to get David to see how great a number of people he had to take comfort in the numbers rather than to depend upon God, and/or, for David to see how few there were, and to fear their enemies rather than depend upon God. Job – He directly orchestrated disastrous events to turn Job from trusting God. Zech. 3:1 & Rev. 12:10 – He is the accuser. He accuses Believers before the throne of God, trying to persuade God to turn against us. Accusing Christians to other Christians – trying to divide the Church. This is especially evident in how we tend to assume we know other’s motives, and respond to them in powerfully negative ways – often for no other reason than what we “THOUGHT” they thought. Accusing us to ourselves – to shake us from trusting in Christ’s atoning work alone for our salvation. Refuse the humility of the incarnation by making bread for Himself out of stones rather than trusting the Father’s providential care. To throw Himself off of the Temple to PROVE who He really was and avoid the misunderstanding and humiliation by the unbelievers. To bow down and worship him so as to gain the world without having to go by way of the Cross. Acts 5:3 – Filling the heart of Ananias and Saphira to lie against the Holy Spirit. 2 Cor. 2 – Inciting unforgiveness so as to divide the Body of Christ. 2 Tim. 2:25-26 – Holds the opponents of the Gospel captive to do his own will. And in this passage – Peter teases out one of Satan’s most potent tactics – instilling fear. Note vs. 8 again – what does Satan do? He prowls (or prances as one translator has it) around like a “roaring lion”. The picture is extremely eloquent, but its message easy to miss. The Holy Spirit certainly knows, as does Peter, that lions do not roar when hunting prey – because they would scare the prey off. Lions roar AFTER they have caught their prey and are devouring it, scaring off any others who might want to take advantage of the kill. Or, to intimidate and corral their pride. Satan’s roar is a deception to scare us and to make us think he has won! When in fact he is a defeated foe awaiting his final dispatch. He suffered his fatal blow at Calvary. Satan goes about roaring, seeking to instill FEAR. And in this way, when he gets the Believer to live life in fear, rather than in faith in God’s promises, love, care and protection – we are easily “devoured”. Christians responding to the Culture, the Government or their oppressors out of fear rather than faith – are easily devoured and sent off running in all sorts of directions that have nothing to do with growing in Christ and advancing His Kingdom. RESIST HIM! Peter says. Resist being driven by fear, no matter how bad it looks. Trust the purpose, plan and providence of your loving Heavenly Father – and do not live in fear. For those who flee in fear, inevitably trip and fall and become useless for the cause of Christ. We are to RESIST him. And this, Peter teases out in 5 parts in the following verses. And you will note that it has nothing to do with charms or spells or incantations or smearing oil on things. No holy water. No silver bullets. No stakes through the heart. No binding of territorial spirits or generational curses. Watch these tactics and note them carefully for yourselves. A. Remaining firm in the faith. Allowing no compromise in the knowledge of Biblical truth. Not forsaking one iota of it in order to take the pressure off. Not it should go without saying, but let me say it anyway – WE CANNOT REMAIN FIRM IN A FAITH WE DO NOT KNOW. We must familiarize ourselves with the Bible, with what it teaches and what it emphasizes and what it calls us to. Jude saw this need in his letter: Jude 1–3 Jude, a servant of Jesus Christ and brother of James, To those who are called, beloved in God the Father and kept for Jesus Christ: 2 May mercy, peace, and love be multiplied to you. 3 Beloved, although I was very eager to write to you about our common salvation, I found it necessary to write appealing to you to contend for the faith that was once for all delivered to the saints. Do you know the great doctrines of the Christian faith? If not, how can you remain firm in it? How can you possibly contend for it? 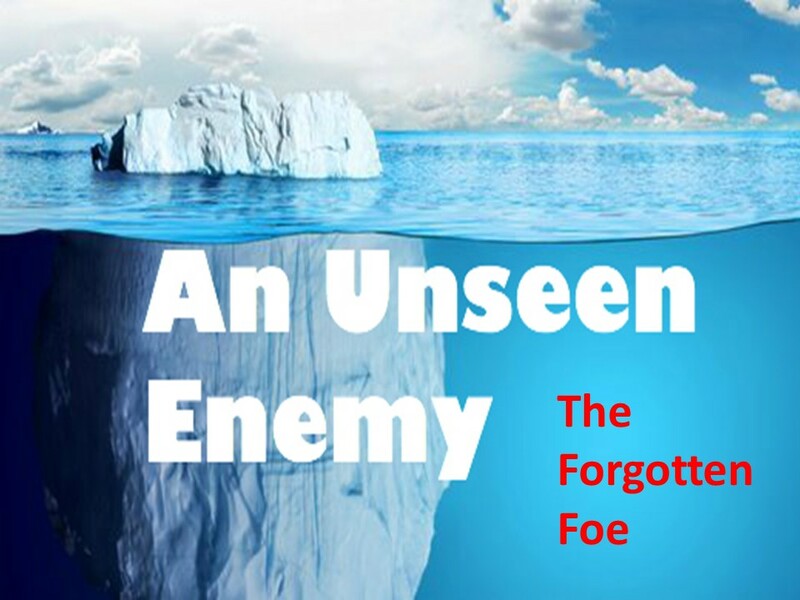 We have no use for learning our Bibles just to be doctrinal eggheads – but every reason to understand and contend for the revelation God has placed in our hands as stewards of until Christ returns. If we start re-writing Scripture or those doctrines handed down to us from the early Church and the generations that followed – we will have not remained firm in the faith, but undermined it. B. Remembering that our brothers in Christ in others places suffer too. And if we are not aware of Christians suffering at present, we can run back to portions like Hebrews 11 and remind ourselves of that great cloud of witnesses that have gone before us: Hebrews 11:32–40 And what more shall I say? For time would fail me to tell of Gideon, Barak, Samson, Jephthah, of David and Samuel and the prophets— 33 who through faith conquered kingdoms, enforced justice, obtained promises, stopped the mouths of lions, 34 quenched the power of fire, escaped the edge of the sword, were made strong out of weakness, became mighty in war, put foreign armies to flight. 35 Women received back their dead by resurrection. Some were tortured, refusing to accept release, so that they might rise again to a better life. 36 Others suffered mocking and flogging, and even chains and imprisonment. 37 They were stoned, they were sawn in two, they were killed with the sword. They went about in skins of sheep and goats, destitute, afflicted, mistreated— 38 of whom the world was not worthy—wandering about in deserts and mountains, and in dens and caves of the earth. 39 And all these, though commended through their faith, did not receive what was promised, 40 since God had provided something better for us, that apart from us they should not be made perfect. C. That this suffering is temporary. – restore, Everything will be put right again – pre-Fall glory. – confirm, Make absolutely solid and firm all that may quiver a bit now under the pressure. – strengthen, Your weakness now will give way to no weakness whatever as you are raised up with, and rule and reign with Christ. – and establish us. See to it you have an everlasting and unshakable security. Himself: Personally. He delights to minister to His children in person. E. That He is the One who has dominion over all, not the devil, not the state, not the culture – but Christ.